What is money? What properties should money have? What has been used as money in the past and why was it used? What determines the value of a currency? How do we ensure the stability of our currencies? What is debt based money? What is a state owned currency? This article will examine all these topics and much more in great detail so that we can develop a clear picture of our modern monetary system and expose its flaws. Back in "the day" when the use of currency was less common than it is now, people would often conduct trade by bartering directly with what ever they had, food, animals, etc. Humans soon realized that this method of conducting trade is very tedious and that by using smaller and lighter objects with a commonly agreed upon value, they could conduct trade without having to lug around the items they wished to trade with. The objects we use as a currency act as our "medium of exchange" so that we don't have to barter with other less convenient objects. Because it is commonly accepted as a currency we must be sure it will act as a stable "store of value". Gold or silver for example are good candidates because they are rare resources which are hard to find and hard to create, thus they hold value well over the long term. But how do we choose which objects to use as our currency? As a child I spent much of my time playing in the woods, and one day I invented a game where we would use "bush money" to trade with each other. The bush money was simply a certain type of tree bark, it wasn't very hard to find. It was easy to conduct exchange with the bark, but we quickly realized that this bark was too abundant to use as a currency. Instead of trying to understand what a currency is, it's better to think about what a currency isn't. So what else would make a bad currency? Sand on a beach would make a bad currency, and again it's because there's too much sand. Of course sand has a small intrinsic value, and we'll get into that idea more later, but it's not relevant for now. The main point is that our currency must have certain properties for it to work as a currency. As we can see, the single most important property of any currency is the ability of the currency to hold value over time, and for it to hold value over the long term it must remain scarce and hard to create. The purchasing power of our fiat paper money constantly decreases because the Government / central banks constantly create new money and put it into circulation. But there are also other properties a good currency should have. How does beach sand fit those criteria? Not very well. It's not scarce but it is divisible. Considering the abundance of beach sand it would require a lot of sand to make purchases, and that would make it hard to store, as well as making transactions slow. Therefore it would not be practical. It would also be relatively easy to forge new sand since it's just crushed up sea shells, and that could make the value unstable. Shell money is a good example of a tried and tested currency which was used for quite some time by people all over the world. Although many types of shells were used, the best ones to use were rare shells which are hard to find. These shells are also much harder to counterfeit than sand, especially back in the time they were used commonly as a currency. Because the rare shells were so scarce they provided a stable basis as a store of value and transactions became practical. Shell money is even decentralized since anyone can go out and hunt for new shells. The only property which shells don't really have is divisibility, since breaking up the shell would surely invalidate its status as a unit of currency. In any case the shells worked as a pretty good currency back then. Another interesting currency used quite some time ago was the Stone Money used on the island of Yap. These were extremely huge stones hand crafted into the shape of a massive donut or coin with a hole through the center. The larger the stone coin the more it was worth. These stones were scarce simply because they were so hard to create. Since they were so rare and so hard to create they were worth quite a bit, but the downfall was that they were extremely hard to transport and they were not easily divisible. This made transactions difficult and the result was that these stone coins were only used in large transactions. This is why we tended to gravitate towards precious metals over time, they are more easily divided into smaller units. Precious metals such as gold or silver fit the above criteria very well, with the only downfall being that carrying around a lot of gold or silver can be tedious due to its weight, and it could also be dangerous. To remedy this problem some nations like the United States adopted a gold standard, meaning they used paper notes which represented some amount of real gold in a vault some where, and you could even redeem your notes for gold. However once we introduce paper notes we open the door for counterfeiters. This means we must have centralized organizations to not only supply the notes, but to ensure the integrity of the existing notes already in circulation. So a gold/silver standard is certainly not perfect, but it is much better than what we have now. Not to mention it is written in the Constitution of the United States that only gold or silver should be used. And of course we have the more recent electronic P2P currency known as Bitcoin. The global P2P system enforces a limited currency and makes it virtually impossible to create fake bitcoins. It is highly divisible and provides a moderate amount of anonymity to users. The scarce and decentralized nature of bitcoin is unlike any other electronic currency ever seen before and is proving to be quite popular. WHAT DETERMINES THE VALUE OF MONEY? What do rare shells, huge boulders, precious metals and bitcoins all have in common? Obviously, they are all scarce. However, more importantly, no one was forced to use any of these currencies. In each case it was a spontaneous voluntary formation based on group consensus. Natural emergence fueled by the needs and desires of the masses. They recognized that a currency must have certain properties, and they chose accordingly from what was available to them. What about tree bark, beach sand and fiat paper; what do they have in common with each other? Abundance. Isn't it odd that we don't use bark or sand, yet we use paper... not because we want to use paper, but because we are forced by the Government to use it as legal tender. What gives this paper money value if it's just paper the Government says is money and has nothing tangible backing it? This is a tricky question indeed. But to simplify as much as possible, the value really comes from the demand for the currency in question. And the demand is really determined by how widely used that currency is and how much commerce is being conducted with that currency (this is why it's important for the US dollar to remain as the master petrodollar). It's like anything else, if more people demand something, but the supply of that something is limited, the value goes up. Now you might wonder why all of our fiat currencies tend to decrease in value over time if economic growth causes the purchasing power of the currency to increase. The value of the currency will only increase if we have economic growth AND the currency supply remains limited. However this is not the case with our current money system. 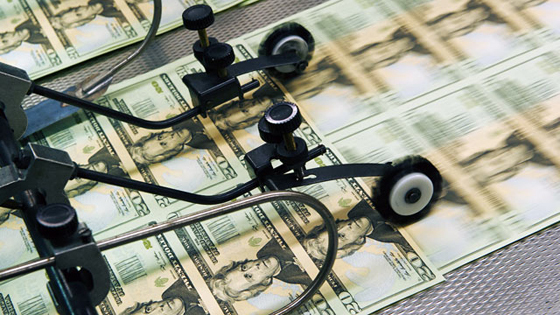 Instead new money is being created all the time and injected into circulation. In reality the value of the dollar should increase with some link to economic growth in the United States, however they steal this extra value by constantly injecting billions and billions of new dollars into circulation. Not only that, they inject so much new money that it causes price inflation, meaning the purchasing power of the dollar is always dropping and your savings are always becoming worth less and less. HOW DOES ENERGY INPUT IMPACT VALUE? Consider the huge stone coins, does the intrinsic value of the stone differ from the face value of the stone coin? Yes it certainly does, the historic value of the stone can even give it more value. So you see there isn't always a definite link between value and real tangible objects; historic value has no tangible properties. The face value of the stones is also determined by other important factors. The energy which went into creating those stones plays a large role in determining their value. You cannot redeem the stones for the energy which went into creating them, yet much of their face value is still determined by the amount of energy burned up in their creation. In this case the money supply can be inflated without any damaging effects because they aren't easy to create like paper money. When new stone coins are injected into circulation the market doesn't freak out because the market knows those rocks haven't just appeared from thin air, there was a lot of energy spent to put them into circulation. Not only is fiat paper money extremely easy to create, but they can put any denomination on the note. In fact they don't even need to print it, these days it's mostly created as electronic money. Consider the reasons for the increase in the price of oil over the last few years (besides greedy shareholders). Is it really because we're getting low on oil? Well in reality there's still a fair amount of oil left to recover, probably some where around the total amount recovered in the history of man kind or more. However we've already recovered most of the easy-to-access oil, leaving us with the hard to reach stuff. 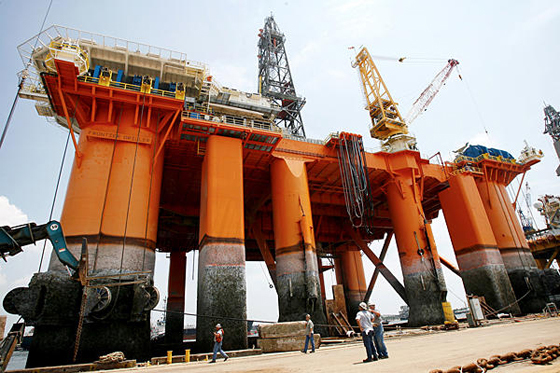 To reach this oil we often require deep sea drilling equipment and we need to use a lot of energy recovering that oil. The amount of energy required or the cost of recovering that oil impacts the final price of the oil. It probably doesn't impact it as much as other more sinister forces impact it, but it does impact it just like it impacts the value of the large stone coins. Now consider the way bitcoins are created. Not only is there a finite limit placed on the amount which can ever be created, but the generation of new bitcoins requires a considerable amount of electrical energy to perform the calculations required. Like the stone coins, this gives them some sort of underlying value which is determined by the amount of energy put into their creation. However once again the main force driving the increase in the value of bitcoin is simply the demand for bitcoin. But why is there demand for bitcoins if no one is forced to use them? Bitcoin emerged naturally, to include many of the ideal properties I listed earlier. It's decentralized, fairly anonymous, provably scarce, highly divisible, and very predictable (since we always know how many coins are in circulation). The properties of bitcoin attract people to it because it can provide them with functionality that other currencies lack. To send an international transaction using the traditional banking system would require many hours or days, and extremely high fees. Bitcoin can get it done within about 5 minutes and the fees are extremely low even when sending huge amounts of money. This creates demand, and thus gives bitcoin value. Keep in mind that the demand for a currency may also increase if it has unique uses beyond just being a currency. For example gold has many uses in electronics and other things, which ensures that gold will always have some sort of value as long as it has some other use besides being money. Other currencies, such as fiat paper money, may collapse completely because at the end of the day it's only paper. It's true that paper does have many uses, and the intrinsic value of paper is not zero (like sand), but it's just so abundant that it's not worth very much even with such a high amount of demand for it. However it's important to keep in mind that even gold is subject to this type of speculation. The value of gold can rapidly fall and rise within a single day based on the quickly changing levels of demand. Over time, as the population grows, and more and more people contribute a demand for gold, the value of gold will increase. Is the intrinsic value of the gold actually changing? The answer would presumably be yes, since the face value of gold is really just the same as the "intrinsic value" of gold. Not all currencies are like this however, some currencies have low intrinsic value yet have a high face value. The intrinsic value of fiat notes is only the value of the paper and the ink, but the face value (real purchasing power) of the note can be quite different from the intrinsic value of the note. It is possible to have a currency with low intrinsic value, but one must understand it will be based on trust, and if those who control the currency (central banks) abuse that trust it undermines the integrity of the currency. Bitcoins have no intrinsic value, yet their face value is consistently rising over the long term as demand for bitcoins increase. Despite the fact new bitcoins are still being generated and injected into circulation, the rise in demand still out-paces any inflationary effects one might expect to see. The fact that a lot of energy is required to make them also helps displace any inflationary effects. Bitcoin is based on the premise that you don't need intrinsic value, however it relieves us from choosing who to trust. We don't need to trust the Government (like in the case of a state owned and issued currency) and we don't need to trust the central banks (like in the case of a privately controlled debt based currency). Trust is decentralized among the entire P2P network and we need only trust the math and cryptography. Think back to the days when the US Government attempted to confiscate the gold of all US citizens and replace it with paper money. The fundamental reasoning behind this was that too many people were holding their savings in gold and therefore they weren't spending enough and there wasn't enough economic activity or growth. By replacing the gold with paper money which depreciates in value people are more inclined to spend their money quickly before its value drops. This little tale is very telling and there's a very deep moral to this story. They believed that this "mechanism" would encourage spending and therefore promote economic growth and stability. However it was impossible to implement this mechanism for gold (they can't easily create gold and devalue it), so first they had to replace the gold with a currency which was easy for them (and only them) to create. 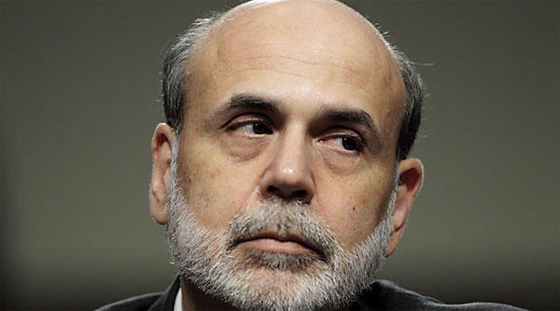 The Federal Reserve Bank is responsible for maintaining economic stability in the United States. But what tools do they have? In reality their one fit solution for most problems is debt monetization / quantitative easing (aka creating more money based on debt). So in essence it's the exact same old tricks they've always used. Only a non-scarce fiat currency would provide them with this mechanism. Mainstream economists will argue we need central banks to be the mastermind behind maintaining our economic stability, but central banks only really have a purpose when the currency is a debt based fiat paper money. Under a limited money system they have no such mechanisms and they are at the whim of the natural free market forces. However they believe their feeble human minds to be wiser than the free market. They believe they can use "mechanisms" to artificially force the market to where they want it to be, regardless of the short and long term side effects. They didn't seem to realize people only save money so that they can spend it later, if only they had waited a short time the savings would have came back into circulation and even if they didn't the market would become accustomed to the new level of spending and saving. At the end of the day people are going to find a way to save what they want to save and spend what they want to spend. The truth is that their "stability mechanisms" only serve to put off the instabilities for a few months or a few years, but during that time they are building up the bubble until the point where they can no longer put it off. For example consider the housing crisis of 2008, caused by the mortgage bubble. The easy mortgage loans provided with assistance from the Government caused a huge mortgage bubble because all that debt couldn't be paid back, resulting in a vast ocean of toxic assets. The Government kept flooding the market with more and more of these toxic assets because they thought everything will just work its self out if they keep credit flowing. But in reality they are just slowly building the bubble up and up and up. Until it reaches a point where they simply have no mechanism left for controlling it. When they reach that point where their mechanism essentially becomes useless, that's the tipping point where they lose all control and the bubble finally bursts, and the market evens out to where it wanted to be in the very first place. If they only had of just waited in the first place the market would have corrected its self naturally and this whole series of events could have been avoided. They simply don't understand that these problems are caused by their interference in the first place. So it is my opinion that any type of non-scarce currency which can be manipulated in this way is inherently flawed. These problems could be avoided by letting the market take the natural course it wants to take according to natural market forces. And if there are little bubbles and dips along the way you don't freak out and keep kicking the bubble along hoping it wont collapse. Trying to understand and control the market is like trying to understand and control the mind of every person who participates in the market... which is completely absurd. There is no economic theory on Earth which really explains exactly how things will happen because people are chaotic. When a system becomes too complex it will break into chaos, that is the nature of chaos theory. I explained why in the case of bitcoin the price tends to rise over the long term and is generally predictable over the long term because we can see exactly how many coins are in circulation... but I didn't talk about the short term changes. 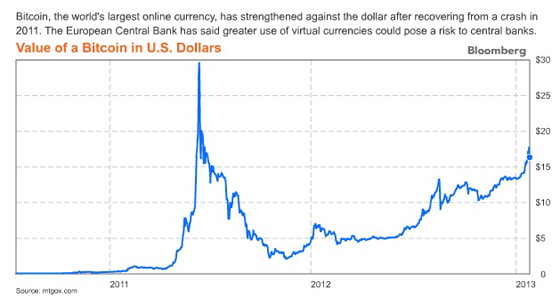 One of the main concerns surrounding bitcoin is the high volatility of the bitcoin market. Many people will claim bitcoin is not worth trusting because we don't have a central bank capable of implementing stability mechanisms. However we must look at the bigger picture here. The reason the volatility is so high for bitcoin right now is because it's so new, it's only now really starting to gain wide spread attention. Any new currency like this is obviously going to have a high level of volatility near the beginning when the demand is rapidly shifting as more people use it. Within several years the level of demand will start to level out and stabilize and things will slowly begin to operate much more smoothly on a day to day basis as bitcoin matures. Because bitcoin is designed with the same properties as any limited commodity it's expected to behave like any other commodity in the long term. If I asked you whether gold was stable how would you answer? You might say it's a bit volatile on a day to day basis, but in general it holds its value well over the longer term because the supply remains limited and virtually static. It's the exact same thing with bitcoin, you can reasonably expect your BTC to be worth the same or more this time next year. As I mentioned, the stability of a currency is dictated by our ability to predict the value in the future. If we are talking about short term predictability then we can say bitcoin is highly volatile. But what really matters when it comes to currency is the longer term stability, and that is much easier to predict. When you look at it from this perspective does bitcoin really have terrible stability? And does the dollar really have a good stability if it has lost over 95% of its value since 1913? The problem is not so black and white now is it? Let me ask you this: would you prefer a currency which constantly loses value year after year but has a low level of volatility on a day to day basis, or would you prefer a currency which constantly increases in value year after year but has a high level of volatility on a day to day basis? If you aren't a Keynesian anti-deflation freak the choice is very easy to make because it's clear which of the two acts as a true store of value over the long term. WHAT IS DEBT BASED MONEY? Understanding this concept is crucial if you want to understand the modern monetary system we use. I'm sure many of you readers have already heard the term "debt based money" before and some of you already know what it is. There are many articles and videos which attempt to explain this concept so I don't want to totally re-invent the wheel here. I will give a slightly simplified explanation and at the end I will refer to some other sources where you can learn more about this if you wish. However I will explain all you need to know in order to fully grasp the system. The first thing to understand is that all money (in any country which uses a debt based money system) comes into existence via debt. Each note represents an interest bearing debt. The way this works is essentially through a process where the Governments trade bonds (debt) with the central banks in return for new currency. 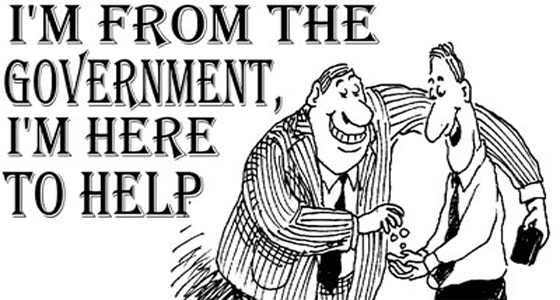 The Government or State does not have the ability to control the creation of money directly, the central bank does. In the United States the central bank is known as the Federal Reserve and it is a semi-private organization. If there were no debts in our money system, there wouldn't be any money. So the US Government would ask the Federal Reserve or its member banks for some money, but it's really more like they ask for a loan. They trade Government bonds (aka Government debt) for that new money. The Federal Reserve simply pulls the new money out of thin air essentially, and it's the only institution which can do this. This process is called "debt monetization" and through this process new money is typically created either physically or electronically. In fact something like 95% or more of all money only exists in electronic form. This money is said to be "backed by debt" because the bonds they are created with are debt instruments. And so we have "debt based money". Of course debt has no intrinsic value, and what "backed by debt" actually means is that the currency represents debt. Our debt backed money represents debt just as notes backed by gold would represent the gold backing them. Money equals debt in this absurd system, and we will see just why it's so absurd momentarily. This is why growth in national debt is closely correlated to growth in the money supply. The Government must trade debt to create new money, so the act of creating new money also creates more debt. Quite ironic really isn't it? 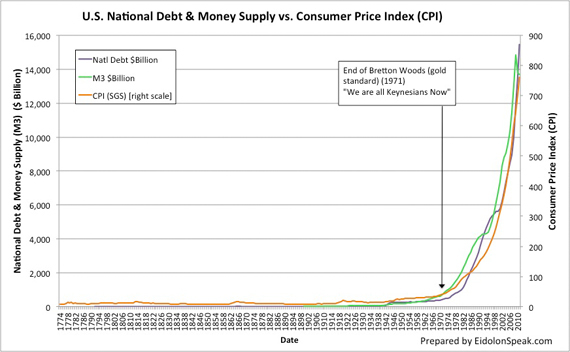 The graph above shows the national debt vs the M3 money supply vs the CPI. It really is one of the best economic graphs I've ever seen. We can see how the rise in prices directly correlates to the increase in the money supply, and we can see how the increase in the national debt also corresponds to the increasing money supply. This really is the "smoking gun" of graphs if there ever was one. In January 1835, Jackson paid off the entire national debt, the only time in U.S. history that has been accomplished. However, this accomplishment was short lived. A severe depression from 1837 to 1844 caused the national debt to increase to over $3.3 million by January 1, 1838 and it has not be paid in full since. The last time the United States was completely debt free was under Andrew Jackson, after he removed the 2nd central bank of the United States. When asked what his greatest accomplishment had been during his two terms as President, Andrew Jackson replied "I killed the Bank". His whole political foundation was based on removing the central bank and restoring sound money. Unfortunately we didn't listen to his advice and before long a new central bank was established. The current Federal Reserve bank has an unlimited charter which will never expire. Bank credit is simply the money which only exists on bank computers. For example when you do a wire transfer bank credits are shuffled around the system. Your cash deposits are held as "reserves" and your account is "credited" with the corresponding amount. When you get a loan they don't actually take the money from another account, they "credit" your bank account with new bank credit which has been created out of nothing. They can loan out 9 times as much as they have in reserves thanks to fractional reserve banking. You might think that the credit loans come from the existing reserves or from other bank accounts, but they don't, the bank credit simply comes from thin air like I just said. Keep in mind this process is another way that new money comes into existence, separately from the debt monetization process. These are the two main ways that the money supply can be expanded. These bank credits flow through the banking system and virtually act as real money, so in the process of creating new bank credits out of thin air they essentially expand the money supply. Furthermore, when the Government "monetizes their debt" by trading their bonds in the process I described a moment ago, they deposit that newly created money into a commercial bank account and it becomes new reserves for the bank. 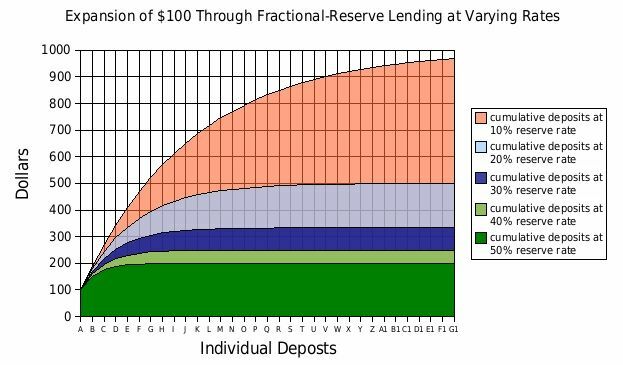 Since the bank can loan out 9x as much [bank credit] as they have in reserve, these new reserves which were created out of thin air by the Federal Reserve can now be used as the basis for creating even more money out of thin air (the bank credit). Say someone then borrows this newly available money as part of a mortgage loan. Of course he wont be given cash, he will have his bank account credited with the amount loaned from the bank. He will then proceed to wire this money to a real estate company and then he will get his house. He will then proceed to "pay back" the bank, much of which will come in the form of cash deposits. So in return for bank credit they created out of thin air they get cash which can be held as reserves and used as the basis for more loans. 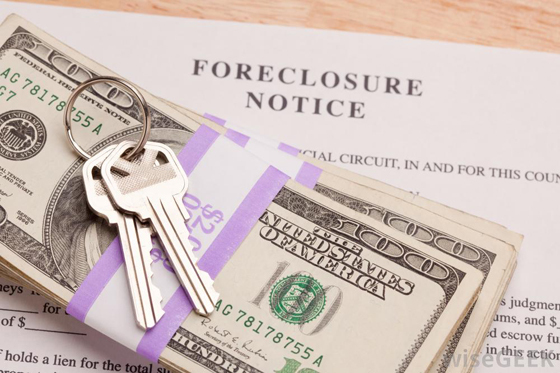 Now consider the case of foreclosure, they claim the house and get a real physical asset in return for imaginary credits. So the private banks also have this mechanism for creating new money out of nothing. All they need is the minimum reserve requirements and the promise by the debtor to repay the loan. This is why most money only exists electronically, because the amount of bank credits is much higher than the actual amount of money created by the Federal Reserve. That's ok unless everyone wanted to withdraw their money at the same time. It wouldn't be possible, they have only 10% of the amount required, and this is what makes a run on the bank possible. Many economists which support this system will argue it's good to have this type of "easy credit" system because if the banks can easily create more credit out of nothing it allows new businesses to easily get startup capital and thus helps promote economic activity and growth. If the business is successful the inflationary effects of creating that new money are offset by the economic activity generated by the business. But this whole concept depends on the ability of banks to make good loans, and they actually have incentive to give loans to clients with low credit ratings. Also note this process creates the new bank credits based on debt, since they are provided as a loan to the debtor much like the Federal Reserve notes are provided as a type of loan to the Government. So money always comes into existence as debt, there are no exceptions. Whether it's through debt monetization or Fractional Reserve banking the end result is the same thing: debt based money. But if all of our money is based on debt, and debts usually generate interest fees, then surely all this debt-money must need to be serviced? Remember that when the Government gets new money from the Federal Reserve it's actually loaning that money. The Government must pay interest on this debt, however the Federal Reserve will claim nothing sinister is going on here because all the interest it gets from the Government goes back to the US Treasury. That is in fact true, and you might wonder why they would even bother charging interest in the first place if that's the case. The reason for it is complicated but it basically helps mitigate inflation rates, or so they say. Now this sounds all fine and dandy on the surface, however it ignores the fact that a very large portion of the money supply actually exists in the form of bank credit created by private banks, and the interest paid to the private banks is not paid back to the treasury. Link this with the fact that the Federal Reserve makes extremely low interest rate loans to its member banks which proceed to put those loans into reserve and multiply that money through fractional reserve banking and you begin to see the true sinister nature of this enterprise. The Federal Reserve simply acts as the figure head for the private banks. In and of its self it's not that easy to incriminate if it's not truly profiting off the interest charged to the Government. 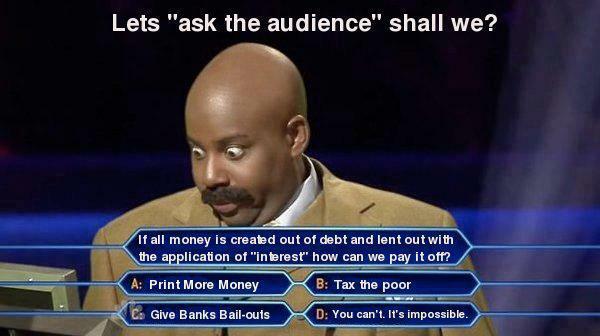 But what about the interest it charges to the people through the network of private banks? Answer me this: if all money is created as debt, where is the money to service all this debt? It simply doesn't exist, that is the answer. This creates a type of perpetual loop of insanity where we require more and more money to maintain liquidity. If all our debt-based money demands to be serviced, but all money comes into existence as debt, it means we constantly need to create new money to service the existing money. This is an inherent feature of any debt-based system. We are now reaching a point where the Federal Reserve is creating 85 billion a month through its unlimited quantitative easing program. Do not be intimidated by the term "quantitative easing", it's simply a type of debt monetization process very similar to the one I described earlier. They know very well that this level of money creation will cause many people and nations to lose faith in the US dollar, and they know it will lead to very high rates of inflation which will cause all sorts of other problems... it's like trying to put out a fire by throwing more fuel on it, but they have no other choice if they wish to maintain liquidity in our debt based economy. If the debt cannot be serviced everything will begin to break down as all debt assets start to become toxic assets. It's a debt bubble just like the mortgage bubble, but this time it's a currency bubble. However, as explained earlier, this tool for maintaining stability will eventually become useless and stop working. We are starting to get very close to that point now where QE schemes and other money creation schemes will simply stop doing what they want it to do and they will no longer be able to maintain the currency bubble. At this point our debt based money will totally collapse and the entire scam will become painstakingly obvious to everyone. In truth the correct answer to the above question is D; in the long run it's impossible. WHAT ARE STATE OWNED CURRENCIES? State owned currencies are an alternative to debt based currencies. Instead of handing over control of currency issuance to private bankers, the State directly prints its own money without having to trade debt just to get new money. So all money comes into existence debt free and without attached interest. A prime example of a State owned currency is Lincoln's Greenback. The Greenback notes (aka the United States Note) were harshly opposed by the bankers and quickly taken out of circulation to make way for debt based money. The United States Note was a national currency whereas Federal Reserve Notes are issued by the privately-owned Federal Reserve System. Both have been legal tender since the gold recall of 1933. Both have been used in circulation as money in the same way. However, the issuing authority for them came from different statutes. United States Notes were created as fiat currency, in that the government has never categorically guaranteed to redeem them for precious metal - even though at times, such as after the specie resumption of 1879, federal officials were authorized to do so if requested. The difference between a United States Note and a Federal Reserve Note is that a United States Note represented a "bill of credit" and was inserted by the Treasury directly into circulation free of interest. Federal Reserve Notes are backed by debt purchased by the Federal Reserve, and thus generate seigniorage, or interest, for the Federal Reserve System, which serves as a lending intermediary between the Treasury and the public. The Greenback notes are actually still legal tender, but quite rare indeed. This State owned money system was opposed by the bankers because it took a lot of power away from them and gave a lot of power back to the State. The argument which has been used to justify a private debt based money system is that the Government is simply too untrustworthy, and it's not false. I mean think about it, at the end of the day it's the Government who is borrowing a lot of this money from the Federal Reserve and getting themselves into absurd levels of debt. With a State owned currency the government can create money out of thin air without going into debt. By doing this they cause inflation and the value of the currency in question decreases, thus making the fortunes of the super rich worth less. And at the same time the new money they create is generally spent on public services such as the building and repair of infrastructure, healthcare and social security spending, and so on. So the general populace, which is mostly the middle class, actually gains wealth overall because the money gets spent on these types of things. But would the Government really be any better if they could just create money out of thin air without needing to trade debt instruments? If they had full control over the money supply would we be in a better situation even if the money was no longer debt based? Many economists argue we need this type of central banking system to prevent the Government from abusing this power. However the same question must be asked... are these private bankers any more trustworthy and is it worth having the debt based system? At least Government officials have some sort of oversight right? Are we really confined to just these two choices? Maybe we should start looking outside the box on this question. Maybe we don't have to trust the Government or the private bankers. Some digital currencies such as Bitcoin relieve us of choices by making the entire system decentralized over a P2P network. Instead of having to trust the Government or bankers, we only have to trust the math and cryptography. The code base is entirely open source so anyone can check how it works themselves, it's completely transparent in all ways. If we look past the State owned vs debt based money debate, there's a more important debate. Whether it's debt based or State owned, it can still be created endlessly. If you've learnt anything so far it should be that a currency must be scarce and limited. The mere idea of something endless acting as a currency completely undermines the entire concept of what a currency should be. But if a State owned currency can do all these wonderful things like take power away from bankers and give wealth back to the middle class why not go with that? Researchers such as Bill Still will argue we can't use anything scarce like gold or any other commodity because all those limited resources have already been hoarded away by the rich, they're too hard to find and if we tried to use them everyone would be poor because they would have virtually no money. I respect Bill and I agree with much of what he says about the benefits of a State owned currency, but I simply cannot agree with him that endless money is superior to limited money. We have used a gold standard in the past and there's no reason we couldn't do so again. All fiat currencies are interchangeable with gold anyway, it doesn't matter what type of currency we use, the rich will remain rich. It's a redundant and pointless task trying to design this currency which steals wealth from the rich and attempts to leak it back to the middle class through endless money printing. Why do you think the rich become rich in the first place? Of course the debt based money system helps a few bankers get very rich, but a relatively small percentage of the super wealthy individuals are actually bankers. Using a State owned currency doesn't change the fact we have a business world dominated by huge monopolies and conglomerates which dominate the financial landscape of entire industries. It's more apparent if you look at industries like the media industry, the oil and energy industries, the banking industry, and so on. A lot of these industries have now been merged into a few single players which control the entire market. 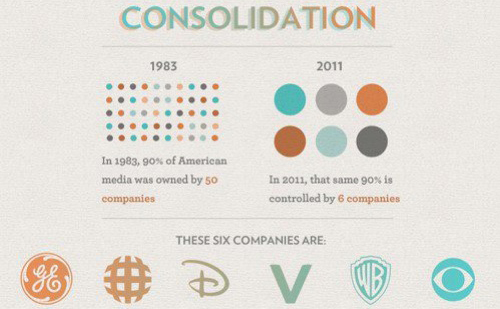 The end result is that much of the wealth generated in our economy flows up the major shareholders of these monopolies. The extremely high levels of inequality we measure today are caused by the way we distribute wealth to people in the first place. And the way we distribute wealth is with our business system. This is really a business issue concerning the nature of "capitalism" that we now operate under, it isn't a money issue and shouldn't be fixed with money via inflation. Having endless paper money doesn't magically make people richer compared to using precious metals as money. Wealth will flow where wealth flows, regardless of the currency you use. For example lets say we use a State owned currency and the Government continually creates new money to spend on public programs, increasing the wealth of the little guy and decreasing the wealth of the fat cats. However one must remember that this new money will often get funneled through to large companies directly (through lucrative gov contracts) or indirectly (via consumer spending etc), and what happens is that we get this uneven funneling process to distribute the wealth back to the super wealthy, where it wanted to be in the very first place. 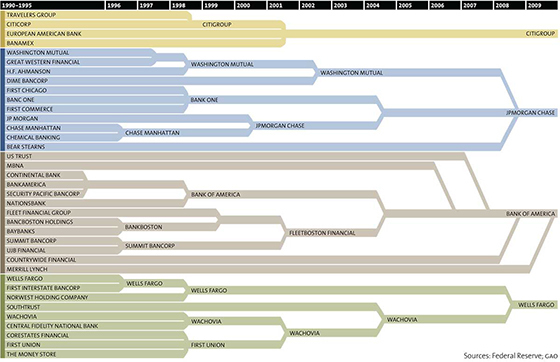 This process of how the money gets funneled up to the elite business people is the single greatest factor driving inequality, and until we fix the corrupted pyramidal system we call "capitalism" it doesn't matter what currency we use because the wealth will still get distributed unfairly. Ok, fine... so why don't we just continue printing more of our State owned currency and inject it to the middle class and make ourselves richer? Well that's what the Government would do if they used a State currency, they would rinse and repeat the process. And this would go on forever... as wealth flows to the rich we continue expanding the money supply to make ourselves richer. So the Government would need to keep creating more money regardless of demand and economic growth, and that new money would continue to get sucked up to the super rich. Eventually the amount of money in active circulation would be tiny compared to the amount of money which has been horded away by the super rich through this continual funneling process, until they have extreme power over the market. Lets say we were using a gold standard instead, and most of the money got funneled up to the wealthy leaving us with very little money to work with. Since it's based on gold we can't simply make ourselves richer by creating more money can we? However one must keep in mind that the elite actually have a motive to keep a certain level of money in circulation, because without that lower threshold in circulation economic activity would stutter and come to a halt, meaning their businesses would also suffer as a result and they would see their incomes dry up. They certainly don't want that, so there's an inherent point of stability associated with a finite currency. The gap between the rich and the poor can only grow so large before that inherent point of stability is reached. There simply is no point of stability or stopping point if you use an unlimited currency. We can just inject more money into circulation to maintain liquidity even if it continues to get funneled up to the super rich. Within any unlimited money scheme like this the gap between the rich and the poor has no bounds. I can tell you right now that we are already way beyond the level of inequality which would be observed under a finite money scheme. The richest 400 individuals in America own more wealth than the entire bottom half of the poorest Americans. These 400 people own slightly more wealth than half a nation. This absurd level of inequality is only possible under a system of endless money coupled with a system like modern day capitalism which distributes wealth extremely unevenly. At least a finite currency puts a limit to the level of inequality. In fact by trying to fix this inequality problem by creating more fiat money to even out the waters, the long term end result is that we simply make the problem worse than it was to begin with because of the wealth funneling process that I just described. That's exactly what is happening right now even under our debt based system, the vast amount of the currency in circulation is not in active circulation, but rather in the bank accounts of the super rich; but they always leave us with just enough to conduct our business. Of course they are also continually injecting new money into circulation, but this privately controlled debt based money doesn't benefit the middle class anywhere near as much as State owned currency does. Most of the newly created debt based money goes to a private bank and the private banks also have the ability to issue their own bank credit based on debt. The new money serves those who get to use it first at its full purchasing power, but hurts the rest of us once the market adjusts via price inflation and our savings become worth less. A lot of people will instinctively argue we need more regulations to control these huge monopolies with such a huge amount of power. Some say the mortgage crisis could have been avoided if we had just had more stringent regulations which stopped the banks from being allowed to make those sorts of risky gambles with toxic assets. However if you actually think about it, it was the Government who approved the whole Freddie Mae and Fannie Mac thing, flooding the market with toxic assets as a result. The banks merely had to deal with what the Government gave them. If we really had a free market would we even have these huge monopolies in the first place? I'm not of the mindset that a free market naturally leads to ever decreasing levels of competition and ends with only a few super players. It's important to keep in mind that in reality most of the regulations which are passed are actually influenced by the large power brokers and lobbyists which work for these huge monopolies. The legislation which comes into existence only serves to benefit these huge monopolies because it is controlled by the same monopolies with all the power. So the entire field is rigged, there's no longer any chance for new players to come in and provide more competition to these monopolies because their lobbyists collude with the Government regulators to rig the game in their favor. We no longer live in anything that resembles anything like a free market, most of the players in all the major industries have been bought out and consolidated into massive monopolies. This takes away our choice of product and minimizes our job opportunities to a small set of heartless conglomerates. These huge companies, for example Wal-Mart, always strive for increased profits at the expense of the product quality and by minimizing payouts to their employees. With little competition this makes it very easy for them to pay their employees slave wages because many of their employees simply have no hope of finding work anywhere else. So we are left to choose from a range of low quality crap, and that's exactly what our super markets are starting to turn into. Even the supposed high quality stuff is getting worse and providing less bang for the buck. The problem is not that we lack regulations, it's that we have too many regulations which make it extremely hard for anyone to start a business. Not to mention the many regulations favoring only a select few Government approved companies. We have a system which denies a free market and gives us something which is almost like the opposite of a free market. And then some people try and claim these problems are caused by having a free market with not enough regulations... absurdity! The true path to freedom is limited sound money and a truly free market. The free market is self-regulating and sound money doesn't need to be controlled with "stability mechanisms" because it too is self correcting. Look at the mess we have gotten ourselves into by thinking we are smarter than the free market and we know how to steer the path of the market better than the market its self. This is pure insanity, we need to get back to the basics of money, there isn't a single unlimited fiat currency which has ever been successful. We will never have a better world until we get a fairer money system based on sound principles.